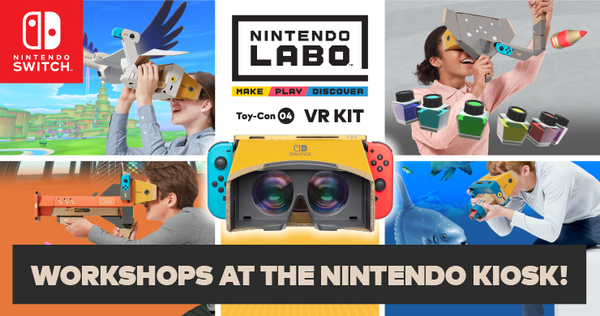 Still not sold on the Nintendo Labo VR Kit? Perhaps some hands-on time will do the trick. Nintendo Canada is hosting some Nintendo Labo VR Kit workshops at their kiosk locations. Check out details for this opportunity below. Gameplay captured and reformatted for non-VR display. Restrict display of VR images for children 6 and under by accessing the in-game settings using the goggles icon. Nintendo Switch system required (sold separately). Parental supervision recommended.